CybersecurityList.com is for CISOs, CIOs, IT security teams, C-Suite executives, business owners, educators, parents, students, and anyone interested in the cybersecurity field. We update the list monthly. The Cybersecurity List keeps you on the cutting edge of cyber. Looking for a directory of cybersecurity resources? Look no further. We cover the latest cyber product innovations and all the topics that get your juices flowing — crypto, dark web, cyberwarfare, ransomware, and much more. AskTheCISO.com – If you want to know what a CISO thinks, then sometimes you just have to ask them. BreachDiary.com – The latest hacks and breaches: All in one place. BugBountyBlog.com – Quarterly diary of noteworthy bug bounty activity. CISObook.com – A book for CISOs, by a CISO, is a must-read if you’re a CISO. CostPerBreach.com – Data breach cost calculator for CISOs and IT security teams. CybercrimeBook.com – New York Times, Wall Street Journal and USA Today Bestseller. Cybersecurity500.com – List of the world’s hottest and most innovative cybersecurity companies. CybersecurityAPAC.com – Top cybersecurity companies in the Asia-Pac region. CybersecurityAustralia.com – Leading cybersecurity firms serving the Australian market. CybersecurityAuthor.com – Books written by the world’s most famous hacker. CybersecurityBrazil.com – Top annual hacking conference in Sao Paulo, Brazil (all talks in English). CybersecurityCalendar.com – Cybersecurity events, conferences, hackathons, and expos. CybersecurityCEO.com – Cybersecurity CEO, expert, thought leader, and global entrepreneur. CybersecurityChannel.com – Cybersecurity Channel Report featuring MSSPs to watch in 2018. CybersecurityEngineers.com – Job postings for cybersecurity engineers globally. CybersecurityForFree.com – The leading Free IT Security Tools for information security professionals. CybersecurityFrance.com – Cybersecurity solutions to protect enterprise organisations in France. CybersecurityGermany.com – Top cybersecurity product vendors and service providers in Germany. CybersecurityInvestor – Tracking the cybersecurity VC deals you need to know about. CybersecurityIsrael.com – List of cybersecurity technology companies headquartered in Israel. CybersecurityItaly.com – Data breach and incident response services for organizations in Italy. CybersecurityJapan.com – The leading cybersecurity technology and services firms based in Japan. CybersecurityLATAM.com – Managed security services for organizations in Latin America. CybersecurityMarketReport.com – Global security spending will exceed $1 trillion cumulatively over the next 5 years. CybersecurityNewYork.com – Top cybersecurity firms in and around New York City. CybersecurityNames.com – Alphabetical list of cybersecurity company names in the U.S. and internationally. 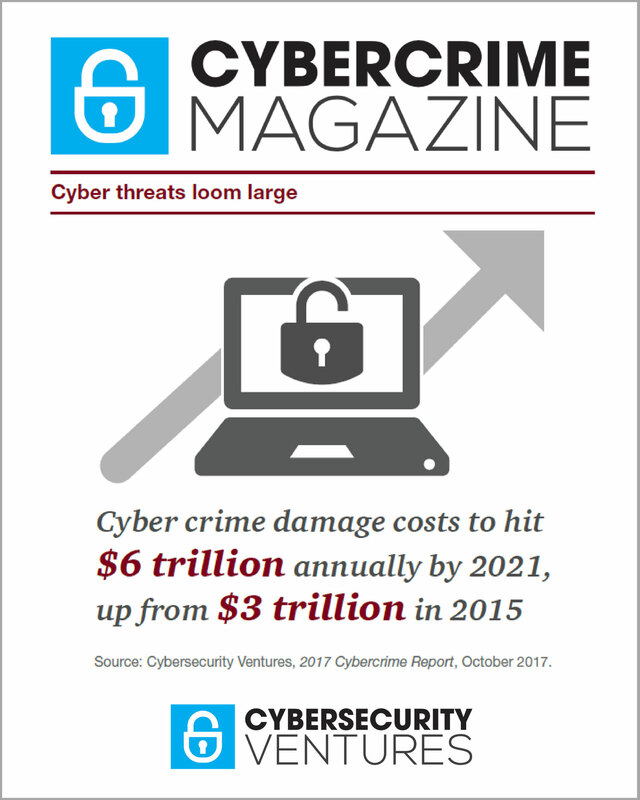 CybersecurityNewsletter.com – Quarterly newsletter with cybersecurity industry news. CybersecurityStartups.com – New coverage on hot startups in the cybersecurity field. CybersecurityStudy.com – A workforce study predicts there will be 3.5 million unfilled cybersecurity jobs by 2021. CybersecuritySurvey.com – Black Hat 2017 Survey: Hackers disclose your cyber security vulnerabilities. CybersecurityTerms.com – Glossary of cybersecurity, cybercrime, and cyberwarfare terms. CybersecurityUniversities.com – List of online university degree programs in the cybersecurity field. Cyberwarfare.com – Page one for important cyberwarfare coverage in the U.S. and globally. DarkWebDiary.com – A quarterly list of noteworthy dark web criminal activity occurring globally. Digital Crimes Unit – Microsoft Digital Crimes Unit (DCU) protects the cloud. EndpointVisibility.com – List of vendors providing endpoint visibility solutions. GRCReport.com – Governance, risk and compliance information for organizations of all types and sizes. HackBlotter.com – Quarterly diary of noteworthy cybercriminal investigations, apprehensions, arrests and convictions. Hackerpocalypse.com – Cybercrime damage costs will exceed $6 trillion annually by 2021, up from $3 trillion in 2015. InfosecurityEvents.com – Information security shows and conferences in the U.S. and internationally. IoTCrimes.com – All Internet of Things (IoT) devices are at risk of theft, damage or destruction. MastersInCyber.com – Directory of M.S. in Cybersecurity programs at U.S. colleges and universities. PhiBetaCyber.com – The Phi Beta Cyber Society is a volunteer organization serving high school students in the U.S.
RansomwareReport.com – Dateline of ransomware hacks and breaches globally. SellingCyber.com – Cybersecurity news for sales and marketing professionals. SimulatedPhishing.com – List of vendors providing simulated phishing solutions. WallStreetCyber.com – List of 60+ publicly traded cybersecurity companies for investors and market watchers. WomenInCyber.com – List of associations and other resources for women in the cybersecurity field. ZeroDayReport.com – Annual report on the state of zero day exploits. Stay tuned for the Q4 2017 edition of the Cybersecurity List.